Look super chic in this Brienna faux Fur Suede Jacket. Featuring a faux fur collar, soft suede material, cosy soft lining and tailored fit. 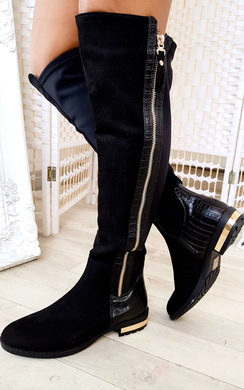 Style with skinny jeans and thigh high boots for the perfect look boo!